The fire was primarily fought from inside the structure, which was more dangerous for personnel but reduced potential damage to the cathedral; for example, attacking from outside risked deflecting flames and hot gases (at temperatures up to 800 °C or 1,500 °F) inwards. Twenty firefighters climbed the two towers' narrow spiral stairs but were eventually driven back by the heat. 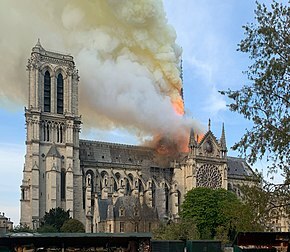 Within an hour of flames being seen, the roof and spire were fully involved and collapsed onto the stone vaulting that formed the ceiling of the cathedral's interior. Some sections of this vaulting collapsed in turn, allowing the burning roof to fall to the marble floor below; but most remained intact, greatly reducing damage to the cathedral's interior. Around 23:15 CEST, officials reported that the fire had weakened and that both towers were safe. The primary structure,[further explanation needed] including both towers and one-third of the roof, remained standing. [clarification needed] Adjacent apartment houses were evacuated due to concern about possible collapse, but on 19 April the fire brigade ruled out that risk. The cathedral contained a large number of artworks, religious artefacts, and other irreplaceable treasures. These included a crown of thorns said to be the one Jesus wore at his crucifixion, a purported piece of the cross on which Jesus was crucified, the Tunic of St. Louis, a much-rebuilt pipe organ by Aristide Cavaillé-Coll, the Virgin of Paris statue of Mary and the baby Jesus, and bronze statues of the twelve Apostles. Many smaller pledges were made by others. A proposal by former minister Jean-Jacques Aillagon that corporate donations for Notre-Dame should get a 90% tax deduction (rather than the standard 60%) was retracted after public outcry, and some donors have said they will not seek tax deductions. ^ Including the Vatican, Secretary-General of the United Nations António Guterres, President of the European Council Donald Tusk, President of the European Commission Jean-Claude Juncker, Elizabeth II of the United Kingdom, Prime Minister of the United Kingdom Theresa May, Chancellor of Germany Angela Merkel, Prime Minister of Spain Pedro Sánchez, Prime Minister of the Netherlands Mark Rutte, President of Portugal Marcelo Rebelo de Sousa, President of Bulgaria Rumen Radev, President of Romania Klaus Iohannis, Prime Minister of Hungary Viktor Orbán, Prime Minister of Greece Alexis Tsipras, Prime Minister of Canada Justin Trudeau, President of the United States Donald Trump, President of the People's Republic of China Xi Jinping, President of Russia Vladimir Putin, President of Israel Reuven Rivlin, King of Bahrain Hamad bin Isa Al Khalifa, Prime Minister of Australia Scott Morrison, King Mohammed VI of Morocco, President of Egypt Abdel Fattah el-Sisi, President of Ghana Nana Akufo-Addo, President of Belarus Alexander Lukashenko, President of the Republic of China (Taiwan) Tsai Ing-wen, and Gérald Caussé, Presiding Bishop of The Church of Jesus Christ of Latter-day Saints, who is from Paris. ^ "France vows to rebuild Notre Dame Cathedral after devastating fire — live updates". CBS News. Archived from the original on 16 April 2019. Retrieved 16 April 2019. ^ a b c d "Incendie de Notre-Dame de Paris : ce qui a été perdu et ce qui a été sauvé". Le Monde (in French). Agence France-Presse. 16 April 2019. Archived from the original on 16 April 2019. Retrieved 16 April 2019. ^ Sasuke (15 April 2019). "Notre-Dame de Paris : toute la charpente en feu, la flèche effondrée". Maliactu (in French). Archived from the original on 16 April 2019. Retrieved 16 April 2019. ^ a b c d Hinnant, Lori (16 April 2019). "Shock, sadness, but no panic: Minutes that saved Notre Dame". AP NEWS. Archived from the original on 16 April 2019. Retrieved 16 April 2019. ^ a b "Notre-Dame: Massive fire ravages Paris cathedral". BBC News. 16 April 2019. Archived from the original on 16 April 2019. Retrieved 17 April 2019. ^ Hinnant, Lori (16 April 2019). "Shock, sadness, but no panic: Minutes that saved Notre Dame". AP News. Archived from the original on 16 April 2019. Retrieved 16 April 2019. ^ Hignett, Katherine (16 April 2019). "Notre Dame "miracle"? Rose windows' stained glass appears to have survived savage blaze". Newsweek. Archived from the original on 16 April 2019. Retrieved 17 April 2019. ^ "The church is burning and the whole world is crying' - Parisians mourn for Notre-Dame". The Local. 16 April 2019. Archived from the original on 17 April 2019. Retrieved 20 April 2019. ^ "Incendie de Notre-Dame de Paris : point sur la situation". 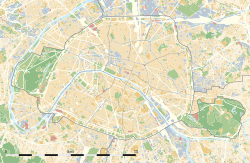 www.paris.fr (in French). Archived from the original on 20 April 2019. Retrieved 20 April 2019. ^ Insider, Ro (6 April 2019). "Romania's president reacts to Notre Dame fire". romania-insider.com. Archived from the original on 19 April 2019. Retrieved 19 April 2019. ^ "Stunning video shows people singing hymn to honor Notre Dame as it burned". CBS News. Archived from the original on 16 April 2019. Retrieved 17 April 2019. ^ "Notre-Dame : les échafaudeurs livrent leur version des faits". L'Obs. Archived from the original on 18 April 2019. Retrieved 19 April 2019. ^ "Notre-Dame : la piste accidentelle privilégiée, les ouvriers du chantier entendus en pleine nuit" [Notre-Dame: prioritised accident investigation, construction workers heard in the middle of the night]. 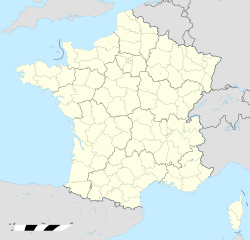 La Depeche (in French). Archived from the original on 15 April 2019. Retrieved 16 April 2019. ^ a b Ott, Haley (16 April 2019). "Why an expert says it could take 40 years to rebuild Notre Dame". CBS News. Archived from the original on 16 April 2019. Retrieved 17 April 2019. ^ Ott, Haley. "Why an expert says it could take 40 years to rebuild Notre Dame". CBS News. Archived from the original on 17 April 2019. Retrieved 17 April 2019. ^ Silverstein, Hannah; Camerlenghi, Nicola (18 April 2019). "After the Fire, a 21st-Century Notre Dame | Dartmouth News". Dartmouth News. Dartmouth News Dartmouth University. Archived from the original on 20 April 2019. Retrieved 20 April 2019. ^ "Notre-Dame : LVMH et la famille Arnault annoncent un " don de 200 millions d'euros "". Le Figaro (in French). 16 April 2019. Archived from the original on 16 April 2019. Retrieved 16 April 2019. ^ "Incendie à Notre-Dame : la famille Pinault débloque 100 millions d'euros". Le Figaro (in French). 16 April 2019. Archived from the original on 17 April 2019. Retrieved 17 April 2019. ^ a b c "Notre-Dame de Paris : cagnottes, promesses de dons et souscription nationale pour financer la reconstruction". Le Monde (in French). 16 April 2019. Archived from the original on 16 April 2019. Retrieved 16 April 2019. ^ a b Petrequin, Samuel (19 April 2019). "Anger followed Notre Dame grief for yellow vest protesters". AP NEWS. Archived from the original on 20 April 2019. Retrieved 20 April 2019. This page was last edited on 21 April 2019, at 22:24 (UTC).